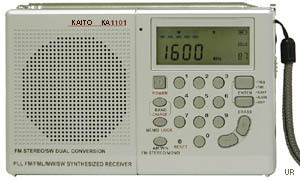 The Kaito KA1101 is a dual conversion portable radio covering AM, shortwave and FM. 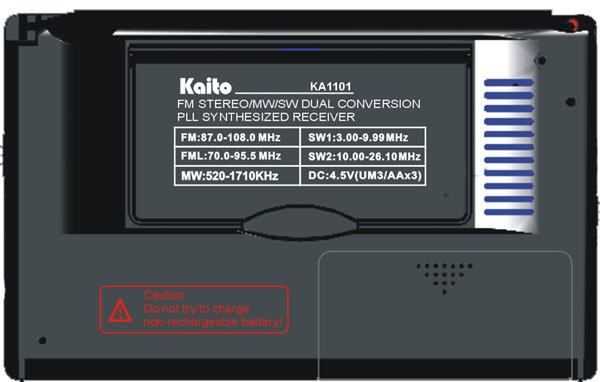 This radio comes with 3 Ni-MH rechargeable batteries and the AC adaptor (and charges the batteries automatically while in the radio). AM coverage is from 520-1710 kHz (9 or 10 KHz steps) and shortwave coverage is 3000 to 26100 kHz in two bands. (The FM-L band covers 70.0 - 95.5 MHz for the Japanese FM band and Russian FM band, if traveling in these areas). The radio features 50 memories (10 for SW1, 10 for SW2, 30 for AM/FM/FML). 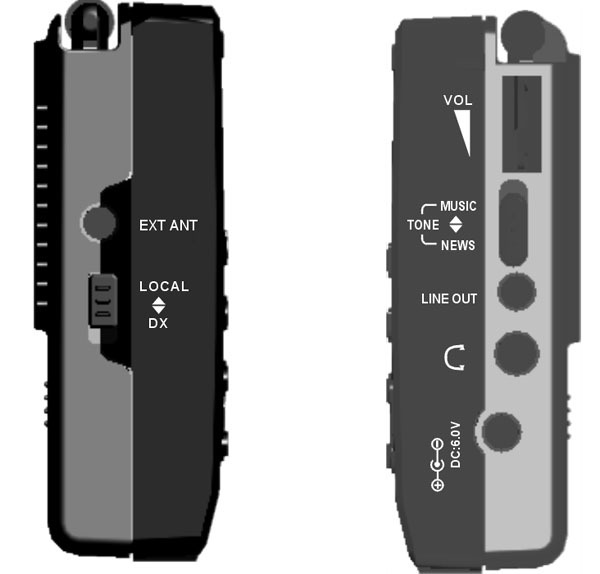 Tuning is via manual up-down buttons and scan plus direct frequency entry via the keypad. The built in digital clock has two alarms, sleep function and can be set to wake you to beeper or the radio. Other features include: two position tone, lock, wide-narrow selectivity, Local-DX switch and backlit LCD. There is even a light sensor that determines when the LCD needs to be illuminated (when buttons are pushed). There is a line out jack for use in recording off-the-air or feeding an external audio amplifier plus there is is an external antenna jack. A special battery icon shows remaining battery life in four steps. The SIL version has a silver colored case. 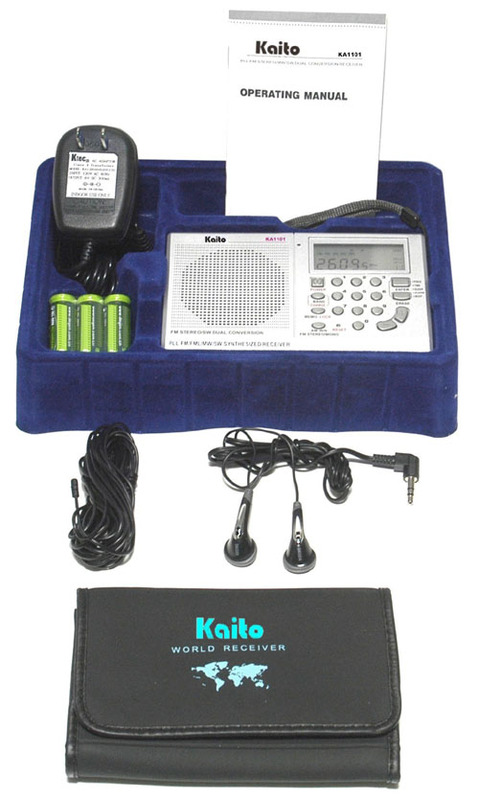 The KA1101 system comes with: AC adapter, three Ni-MH rechargeable AA cells, protective carry case, wrist strap, stereo ear buds and external wire antenna. One year limited mfg. warranty. The KA1101 GRY is the same, but with a gray case. Copyright 2004-2012, Universal Radio, Inc.